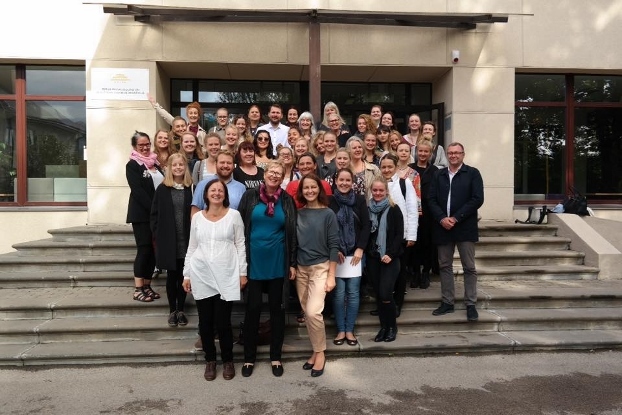 In September 14 – 18, 2015, 50 participants of Teacher Education Network (TEN) participated in the NORDPLUS project’s intensive program: "Mythology culture and identity in the Nordic and Baltic Countries" (NPHE-2015/10077) that took place in Riga. 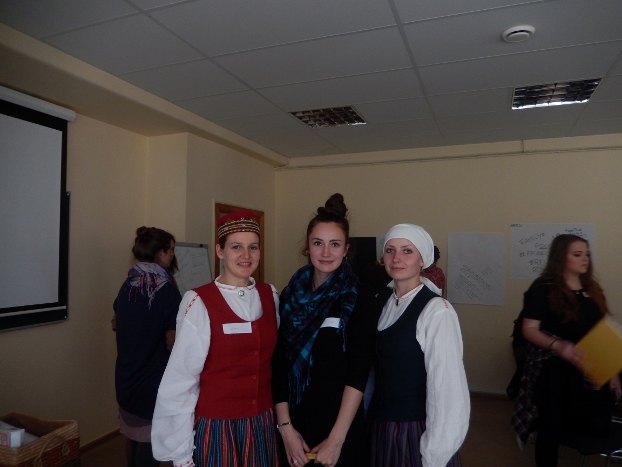 Among the course participants were the students of Master’s program “Education” were Ilona Stepiņa, Agnese Timofejeva un Alise Ciburevkina, and asoc. Prof. Dzintra Iliško. 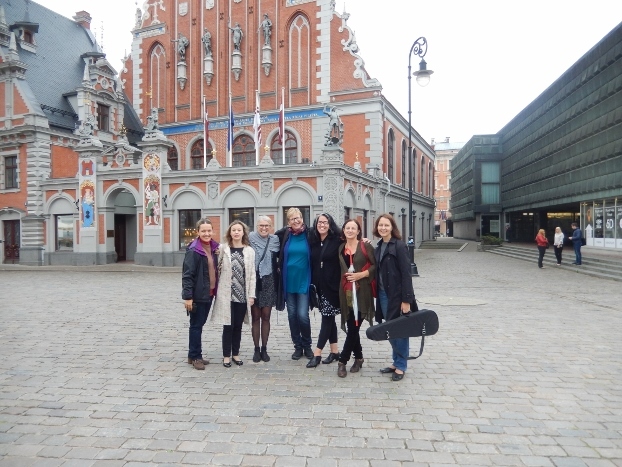 The course was organized by the Riga Teacher Training and Educational Management Academy, in cooperation with the partner institutions: HSZI Centre of Sustainable Education at Daugavpils University, Bergen University College, Lithuanian University of Educational Sciences, Estonian Academy for Music and Theatre, University of Iceland, University of Copenhagen and ARHUS University College. Lecturers and students from the Nordic and Baltic countries have shared knowledge and experience about autumnal solstice traditions in Denmark, Estonia, Iceland, Latvian, Lithuania, Norway and Sweden by finding common and distinctive features of different traditional culture. They reflected on the Scandinavian and Baltic cultural identity and the importance of traditions nowadays. TEN has organized a third course having a more Baltic perspective using the old Baltic tradition of celebrating Autumn Equinox as a framework for learning about and experiencing Baltic traditions and culture and comparing it to those of the Nordic countries. 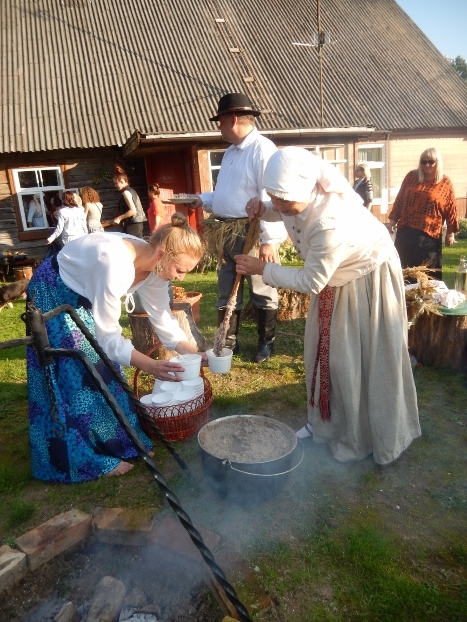 The title of the third intensive course was: “Autumn equinox celebration: Baltic and Nordic cultural identity through traditional seasonal celebration”. The overall aim of the course was to strengthen the bonds between the Nordic and the Baltic countries through in-depth cultural studies. Through an innovative approach where the students themselves created a common festivity including the arts: music, dance, drama, arts/crafts in cross-cultural groups students have not not only learned about other cultures, but they have also worked creatively in transnational groups, came closer and experienced other cultures directly. In addition, they have gained the direct experience and a broader perspective concerning similarities and differences of traditional cultural heritage in the Baltic and Nordic countries through reflection and analyzing their experiences. Students have discovered the value of traditions and the necessity for develop them in an innovative manner. They have gained a deeper insight about Baltic and Nordic traditions as an actual part of the contemporary culture, they became sensitive towards cultural diversity, they have learned to understand their cultural identity and began to appreciate others. They have developed and used their skills in a new context in innovative way. They have realized the wholeness of the world (human/ nature/ culture) and have gained a holistic experience of the celebration, by preparing and taking part in traditional Baltic and Nordic Autumn Equinox festivity. This was a truly enriching experience.